As part of Hosokawa’s commitment to our customers, we recently launched the Hosokawa Concierge Service Program with the intention of helping customers maintain their equipment and minimize production interruptions. The Hosokawa Concierge Service Program offers free, regular contact with your Aftermarket Parts Specialist to provide assistance and reminders for equipment operators and maintenance personnel. Hosokawa offers a wide range of contract manufacturing services for chemical & mineral applications including Coarse to Fine Size Reduction, Classification, Mixing and Blending and particle analysis. With over 20 different powder processing systems available, Hosokawa is prepared to handle a wide range of contract manufacturing services. 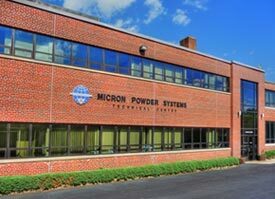 For 90 years, Hosokawa Micron Powder Systems defined the standards of consistency, durability, and peak product performance through our leading powder processing technologies from the most esteemed brand names throughout the world. Our brand names include Mikro, Alpine, Micron, Vrieco-Nauta, Stott, and Vitalair.